Top Cut Comics, formerly known as Tomorrow is Yesterday, was founded in 1981. It has been a staple in the greater Rockford area for many years and will continue to provide entertainment for comic book enthusiasts as well as building a new foundation for gamers of all types. Comics, along with RPG's, Fantasy Games, Miniatures, Collectables, McFarlane Toys, and Board Games have been the driving force behind the success of the store. 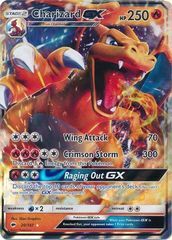 Top Cut Comics has now added Pokemon, Yu-Gi-Oh!, Magic the Gathering, Vanguard, and many other Trading Card Games to enhance its support for casual and competitive players alike. Top Cut Comics has more than doubled the tournament area. With seating for 108+ players it is sure to be a place of gathering for all gamers. 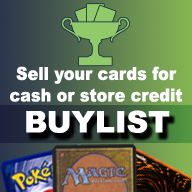 Weekly tournaments along with individual card sales make Top Cut Comics THE place to be for all major trading card games fanatics. Come show your skills in one of our scheduled weekly events and see where you rank amongst some of Rockford's finest. Here at Top Cut Comics, we believe in providing the best merchandise possible with exceptional customer service. We will do our best to see that all of our customer's expectations are not only met, but exceeded in every way. If we do not have something you are looking for, let us know and we will do our best to try and get it for you!! Stop by and check us out and be sure to check the website weekly for updates.